Since 2nd of November 2016, when Vera Twomey first promised to walk from Cork to Dublin (Long march), she has captured the hearts, minds and souls of a population. An ordinary woman with an extraordinary spirit, compelled by the most natural maternal instincts to protect her daughter Ava, breaking down the bureaucratic barriers put in place by an uncompassionate, neo-liberal state, which oozes contempt for its ordinary citizens. 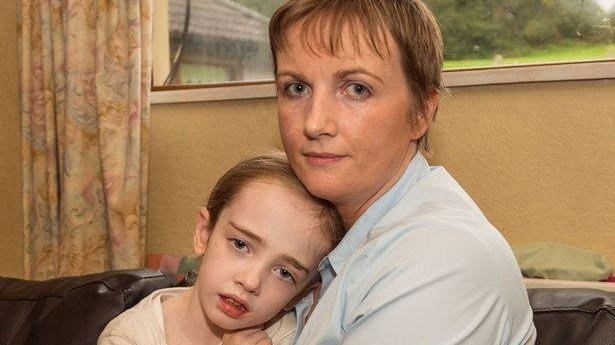 Ms. Twomey had become increasingly disheartened, following unsuccessful attempts to acquire medicinal cannabis for her 7 year old daughter Ava, a sufferer of Dravet Syndrome. It is now 8th of March, Vera Twomey completed her walk to Dublin yesterday, following postponement of her first attempt. Being a rebel herself, Rebel City Writers find it fitting to give a timeline of Vera’s cause, outlining the facts clearly and offering a radical perspective on developments. Dravet Syndrome is a rare form of epilepsy formed from birth that poses a variety of issues, but the most prevalent are prolonged and frequent seizures, in Ava’s case, sometimes 20 a day. Ms. Twomey explained that she had long exhausted the avenue of prescribed medications as a means of controlling Ava’s seizures, and in consultation with both paediatricians and neurologists, she had used Cannabidiol (CBD), which saw Ava’s condition improve drastically. The issue now is that further improvement requires the addition of THC with the CBD. THC is effectively the chemical in cannabis which allows you to get high, and therefore, is banned in Ireland over 0.02%, while Ava`s treatment requires around 1% or 2%. So, essentially, it is illegal for the medical professionals overseeing Ava’s treatment to prescribe her this treatment, unless there is a change in legislation. Ms. Twomey has continuously outlined this positon and the need for legislation change. After beginning here first walk to Leinster House, Vera received a phone call from the current Health Minister, Simon Harris, urging her to halt the walk and promising to take action in relation to medicinal cannabis by January. Amidst a surge of public support and positive acknowledgement of her cause, Ms. Twomey decided to postpone her walk, but was adamant that failure to act would force her to restart her walk to Dublin. On the 9th of November, PBP/AAA TD Gino Kenny introduced the Cannabis for Medicinal Use Regulation bill, which was passed unopposed by the government. The bill went on to committee stage, where a request for “Expert Scientific Advice” was made by Simon Harris to the Health Products Regulatory Authority (HPRA). The report was published on the 31/01/2017, and, although critical of the substance of scientific evidence to support the use of medical cannabis, it did offer recommendations for the regulation of medicinal cannabis, and as of today, has backed its piloted introduction for use in specific conditions, of which, on the surface, all are met by Ava. It is worth noting the negative points in the report were largely aimed at how it could contribute to an increase in recreational use of cannabis. If they want, I am available to categorically explain to the HPRA how easily people can get access to recreational cannabis; perhaps they might sample some as part of a clinical trial. Refusing sick people medicine because some will abuse it is plainly a cop-out! People abuse prescription drugs all the time but they are not outlawed! Following an application for medicinal cannabis by Ms. Twomey, a decision was made on the 23rd of February not to grant Ava a licence. 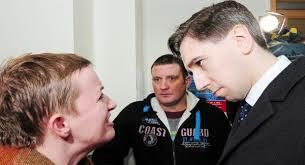 The Department of Health stated “Until such time as the necessary legislative amendments have been made to facilitate the implementation of the Cannabis Access Programme, it remains open to the Minister to consider granting a licence to an Irish registered doctor for access to medicinal cannabis for named patients.” Time had run out on Harris’ delaying tactics and the mask had finally slipped. Ms. Twomey was left with no choice but to restart her “long march” to Dublin. After a week of walking, and even incurring an injury in the process, Vera finally arrived in Dublin to swathes of supporters. This image of support was replicated in every county, town and village that she had passed through; large crowds, media, schools, guards of honour, marching bands, all rally in their respective areas to show Ms. Twomey that she had the support of the nation. Yesterday afternoon, as she had done every day, Vera expressed her amazement and gratitude at the level of support she received from the public. Perhaps unbeknownst to herself, she made an excellent one line observation; “the real people of Ireland care”. This statement is undoubtedly true, the real people of Ireland do care, and we care about Ava and all the other people who are in need of medicinal cannabis. Unity and compassion are indispensable weapons in the fight against global neo-liberalism and the serfs that implement its agenda. Vera Twomey’s “long march” has amplified how much the “real people of Ireland care”, while the state reaffirms departmental lingo and cowers behind red tape. As citizens we are supposed to accept the fact that the government can call emergency sittings in the middle of the night and proceed with legislation which will saddle our children with billions of euro worth of debt, but they cannot legislate to potentially save the life of a 7 year old girl! The following can be said of homelessness, it can be said of the hospital crisis and can be said of mental health; unless you’re a market, or a potential market, you will receive no compassion from the Irish State. This entry was posted in National Issues, Public Health and tagged Cannabidiol, Dravet Syndrome, Gino Kelly, Jonathan Dunne, Medicinal cannabis, Simon Harris, THC, Vera Twomey. Bookmark the permalink.